The Use Of Prescription Medications To Treat Problems Beyond What The Drugs Were Originally Approved For Is Widespread, With Some Blessings And Many Dangers. 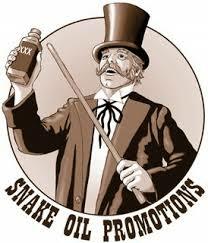 That an MD will prescribe a drug for use other than that for which it was originally approved comes as a shock to many. In fact, the practice is so widespread that few physicians give it a second thought. The drug companies are all in favor of this, needless to say. Sometime the consequences are beneficial, and sometimes disastrous. A rather typical sequence is this. A particular new drug goes to clinical trial. Clinical trials are very costly, ranging from $50 million to as much as a $500 million. It is the major bottleneck for new drugs. 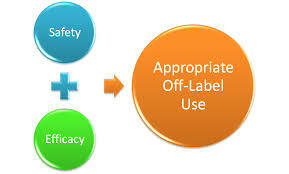 To be approved, all the milestones must be met regarding safety and effectiveness. In the United States, the FDA (Food and Drug Administration) has the final say. If successful, and the drug is approved for treatment of, let’s say, Disease “A,” the drug is then generally available. Now here is the crazy surprise. It is generally available to treat anything. If a physician decides to treat a disease that is completely different from the “approved” disease, he or she is perfectly free to do so. Of course physicians are responsible and potentially liable for this, and so are usually making informed decisions. This is perfectly legal, and often times beneficial, and, this is the unsavory part, strongly encouraged by the drug companies. In fact, they have huge advertising budgets targeted at promoting off label use. Pharmaceuticals are prohibited by law from advertising their drug directly for off label use. So instead you see an ad that first scares you about something, high cholesterol for instance, and then goes on to rattle off something about a clinical trial result that seems to have proved everything, though it likely proved little, and finally, “ask your health care provider if VunderStatin might be right for you.” Oh, and as an epilog, there are a bunch of warnings read off at supersonic speeds. This is called pull-marking in the trade, as it is reaching out to the user rather than the physician. Given the rules about off label use, it might also be call tightrope walking. Marketing directly to the physicians, which is a very major activity as well, is called push-marketing. Sometime the drug companies cross the line and get in trouble with the FDA, but more often not. The history of thalidomide is one of the scariest. Thalidomide was developed by a German pharmaceutical, now called Grunenthal GmbH, trialed and approved for respiratory infections in 1956. However, word got around that it was also effective on insomnia, colds, headaches, and morning-sickness. The latter caused fetal deformation and the 10,000 or so “thalidomide babies.” Off-label use? Yes. Corporate responsibility? Grunenthal apparently marketed it heavily for morning sickness in Germany. The FDA does not want a repeat of this. In fact, the FDA, to its credit, did not approve thalidomide in that era. But in a needed effort to avoid a repeat, drug approval standards are much, much higher today. But so high, and so expensive, that the off-label practice has soared, creating its own problems. This drug reduces cholesterol more than any other statin, but also seems to have more side-effects. In fact, it raises the rate of adult onset diabetes 50%. It was originally approved in 2003 for hyperlipidemia. It was not approved for prevention of heart attacks. Hence its success was largely dependent on the belief, on the part of the medical profession and the general public, that high cholesterol was dangerous in and of itself, and must be lowered at all cost. A huge advertising campaign reinforced this, effectively turning cholesterol into a disease. While not explicitly “off-label,” the “lower cholesterol prevents heart attacks, therefore…” message was never very far below the surface. In the end, the drug became a super block-buster because of a belief that it would be better at preventing heart attacks. Isn’t it amazing what clever and pervasive marketing can do for a useless drug. Useless? Well, only if you managed to sidestep the innumerable side effects. The reality of cholesterol is that most of the damage is done by a small subset of cholesterol, and this can be ameliorated by dietary change. Further, the use of statins has not shown increased longevity for any group, high risk or low. A certain compound was synthesized in England by pharmaceutical giant Pfizer for treatment of hypertension and angina. In early clinical trials, though, it was determined that the drug had no particular effect, good or bad, on either of these maladies, so back to the drawing board. Pfizer called off the trial and notified all participants to turn in any unused drugs they still had. However, for some reason, the participants would not comply, keeping the “useless” drugs. Apparently some of these people had found uses after all. Pfizer investigated, and upon discovering the reason why, re-purposed the drug to treat an entirely different “malady.” The drug instantly became an overnight blockbuster. 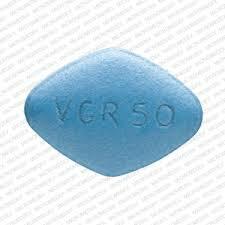 Its new name: Viagra. Should you ask your doctor if a drug he has prescribed is off label? Most definitely.